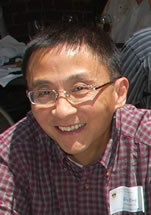 Dr. Xing is Professor in the Department of Pathology and Molecular Medicine. He was a Scholar of the Medical Research Council of Canada and a recipient of Ontario Premier’s Research Excellence Award. Dr. Xing is an expert in anti-microbial immunity, infectious diseases, tuberculosis vaccine development and cytokine biology. His research was or is currently supported by the Canadian Institutes for Health Research, National Institutes of Health (USA), Canadian Foundation for Innovation, World Health Organization and Ontario Thoracic Society. Immune protection from tuberculosis by a new generation of vaccines including attenuated organism-based, bacterial plasmid DNA-based and viral-based vaccines. These studies are being carried out primarily in mouse models of sepsis, acute lung inflammation, Gram-negative bacterial infection, viral pneumonia, mycobacterial infection and tuberculosis. We have a special interest in understanding the role of dendritic cells, macrophages and T cells at the cellular level, and of cytokines, cytokine receptors and other transmembrane immunoreceptors at the molecular level, in anti-microbial immunity. Since we are constantly exposing to multiple microbes at the same time, we also pay attention to the immune mechanisms of host responses to heterologous infections. We strive to apply such knowledge to the rational design of tuberculosis vaccines and are currently running a phase clinical trial to evaluate our novel TB vaccine product.